Amir Khan believes he is one of only a very small number of British fighting stars who can fill out a cavernous stadium, with 60 to 80,000 paying fans in attendance. Heavyweight champ Anthony Joshua has proven a number of times he is such a star attraction, and Khan says that with the “right dance partner,” he can be as well. Speaking with Sky Sports, Khan said that he and Manny Pacquiao would be a fight big enough to fill such a large stadium. 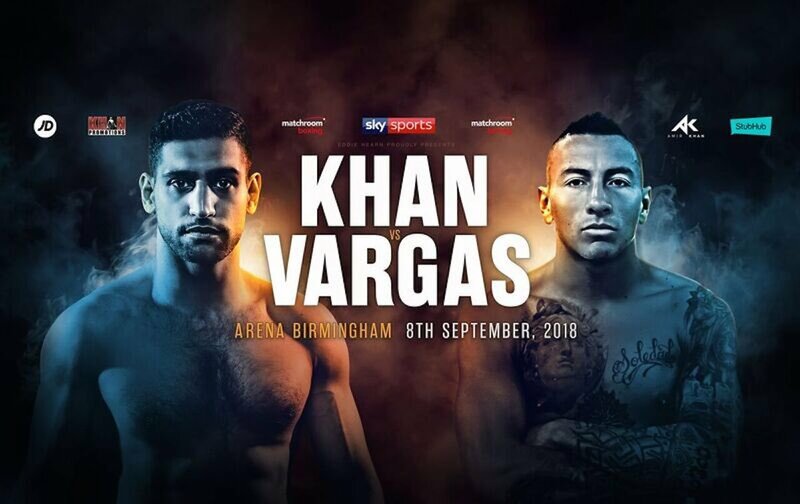 Khan must get past Samuel Vargas in the second fight of his comeback on September 8 but he says that Eddie Hearn is looking at making a big December fight for him – and Khan wants it to be against superstar Manny Pacquiao. Khan said that with the style of fighting he and Pac-Man have, a fight between he and the living legend would be “a war,” from round-one to however long the fight lasted. Khan is right when he says UK fight fans would come in their tens of thousands to see Pacquiao fight here, and Khan says winning a world title by defeating Pacquiao would be the ultimate for him. Eddie Hearn is reportedly trying to sign Pacquiao up and have him star on his DAZN network so let’s see if the promoter can work his magic. Pacquiao Vs. Khan: who wins? Previous boxing news: What Next For Bryant Jennings? Next boxing news: Tyson Fury Gets The Job Done Against Pianeta – But Does He Need Another Fight Before He Gets In With Deontay Wilder?